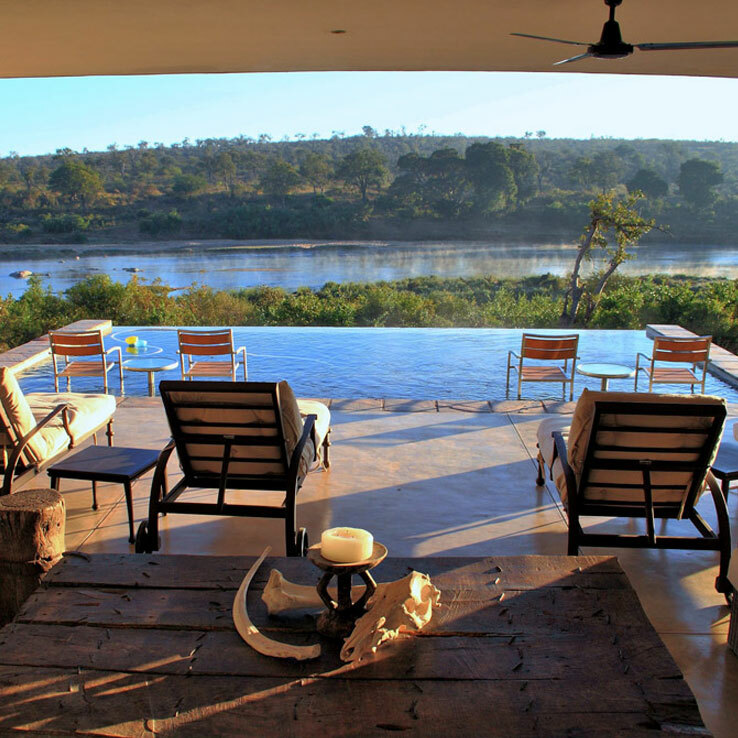 A limited number of shared ownership lodges in Mjejane Game Reserve have been built specifically for private investor groups on what are arguably the most desirable riverfront sites overlooking the Crocodile River. 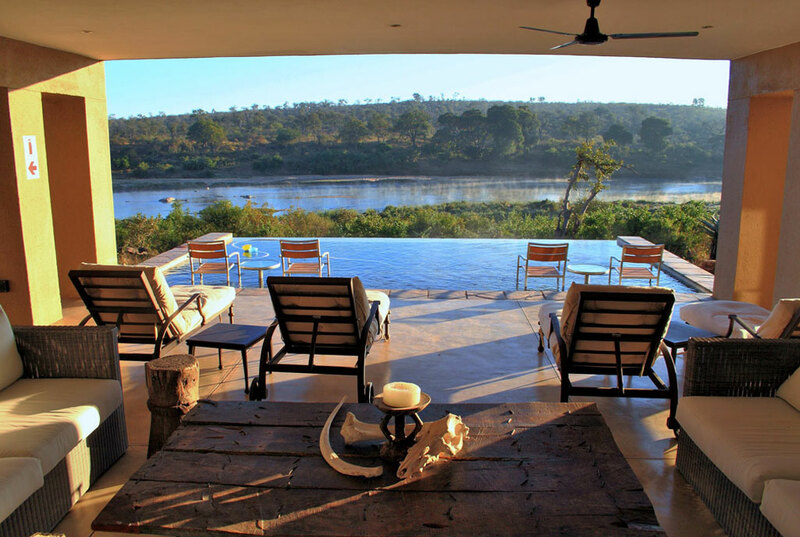 These sites have not only been selected for their panoramic views over the river but also for the presence of large well used game trails leading to the water's edge. These game trails represent ancient routes followed by animals moving to, from and across the river. It stands to reason that these carefully selected sites offer superior game spotting and unbelievable photographic opportunities. 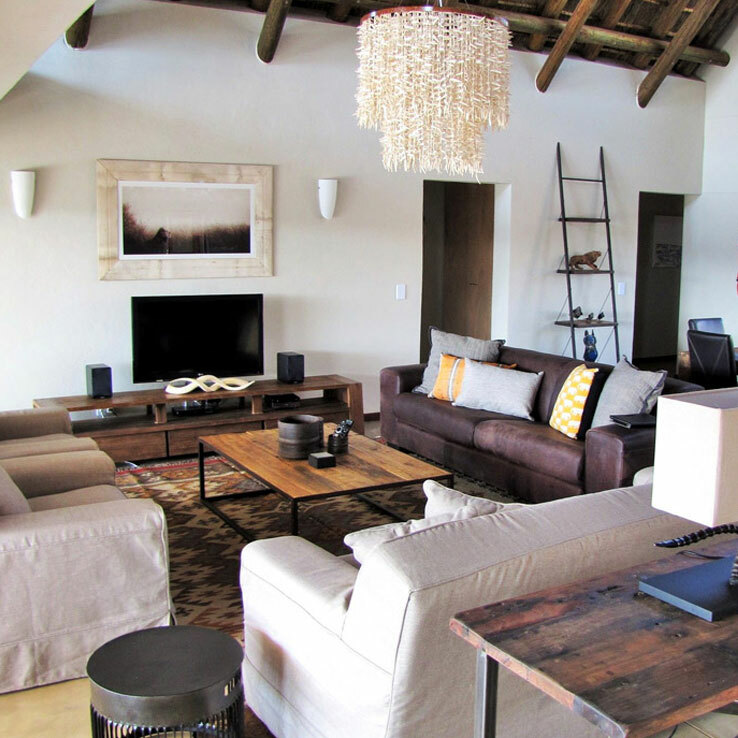 The shared ownership lodges typically have five or more en-suite bedrooms, a fully equipped kitchen leading to an open plan lounge/dining room, a separate family room, deep undercover verandas, elevated viewing decks, a rim-flow swimming pool and a boma with a fire pit. 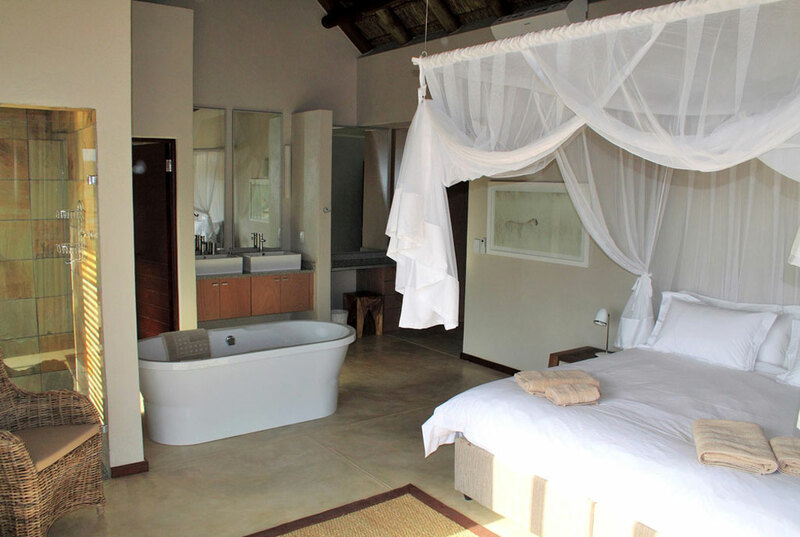 Some lodges have their own gyms and private ranger chalets. private rangers who are employed to manage the facilities. 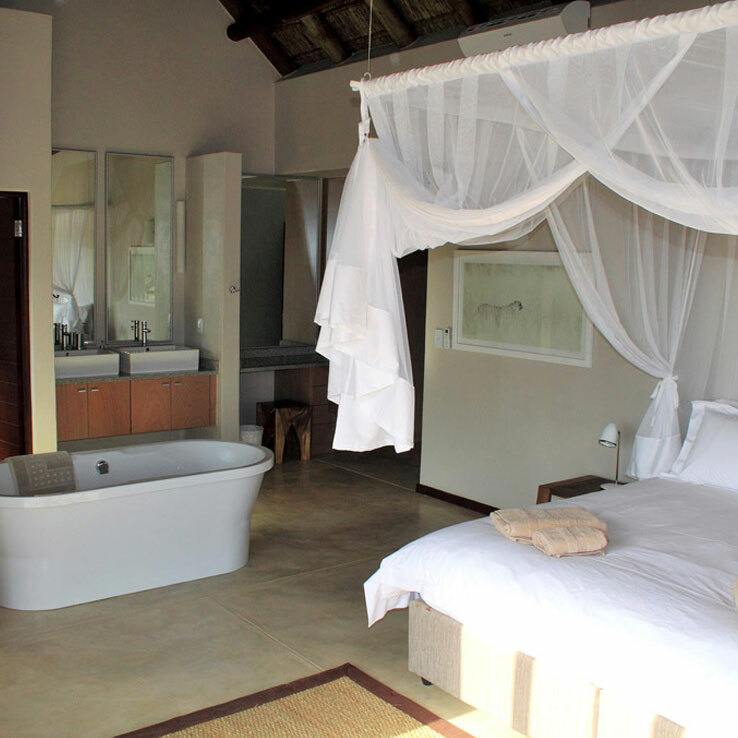 Variations in design and decor typify these lodges which cater best for the discerning needs of those who passionately enjoy visiting the Kruger National Park a couple of times throughout the year. The shared ownership Lodges completed to date are listed as downloadable PDF’s below. 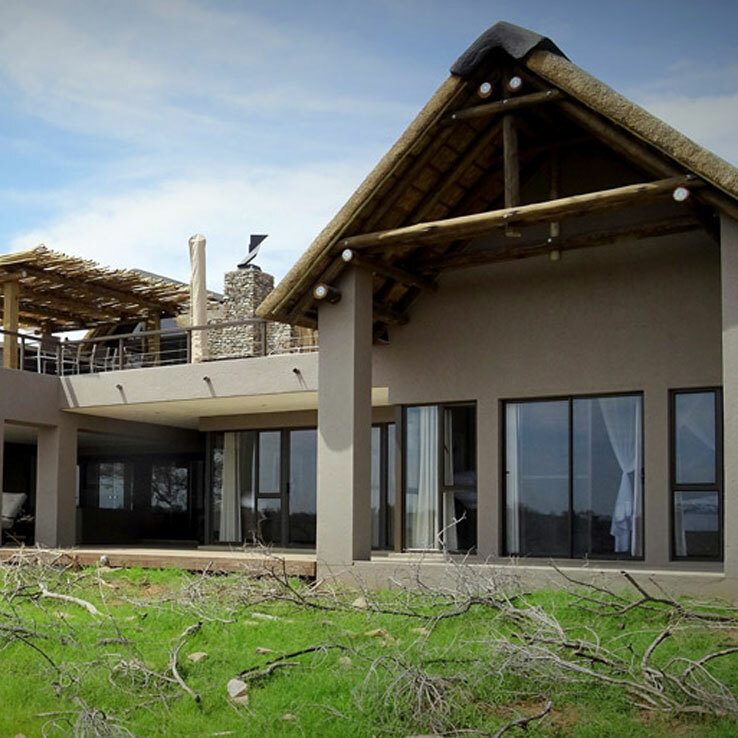 Limited slots are availible in these lodges (enquire today). Limited shares in a new lodge may be available. Shared ownership models are most commonly based on 13 lines (also referred to as slots) of 4 weeks use per annum per line. In this use model each of the four weeks comprising a line falls into a different season of the year. 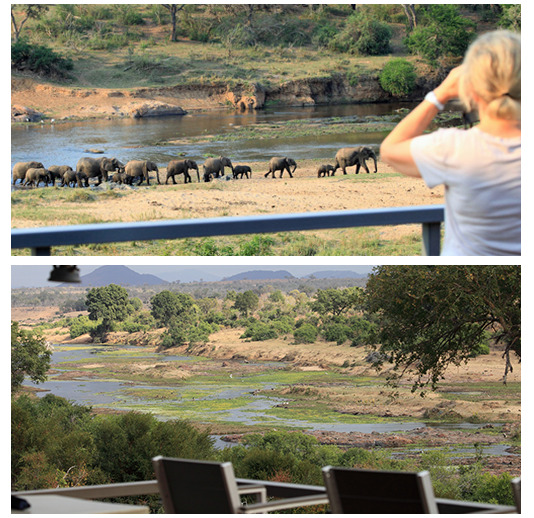 In this manner everyone gets to experience the Kruger in all of its fabulous seasons. The use of weeks rotates annually according to a predetermined rotational calendar. Investors can acquire as many lines as they wish depending on their envisaged use of the lodge. 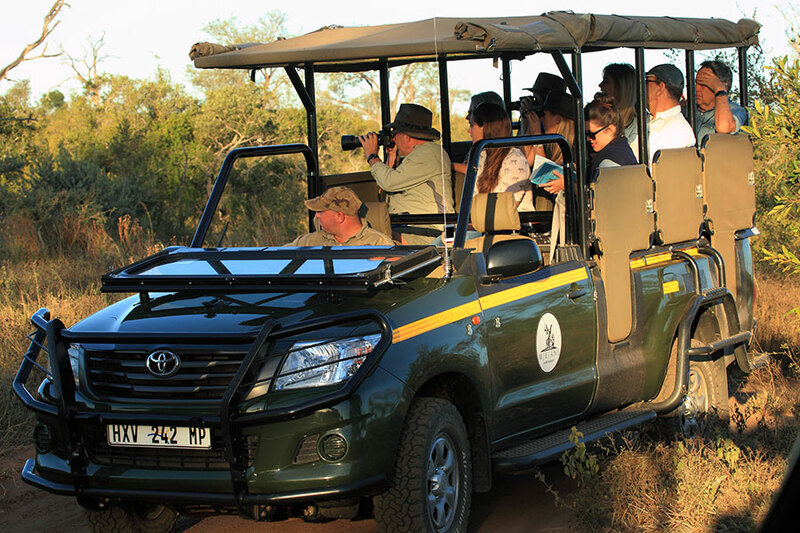 So this model allows for investors to own as little as four weeks per annum by owning 1 line or as many weeks in multiple of 4 as they need for visiting the Kruger bush each year. Other use models are structured on the basis of 10 members (each with a 10% shareholding) with 5 weeks use per annum. Others again may have as few as 4 members (each with a 25% shareholding) with 12 weeks use per annum. In these models shareholders typically participate in a selection process for choosing their preferred weeks each year. What is shared ownership of residential property? Shared ownership is used to describe the collective ownership of an asset (such as a holiday home), usually with high monetary value. Shared ownership of residential property is where investors acquire shares in a company that owns a residential property intended primarily for use as a recreational (second) home. 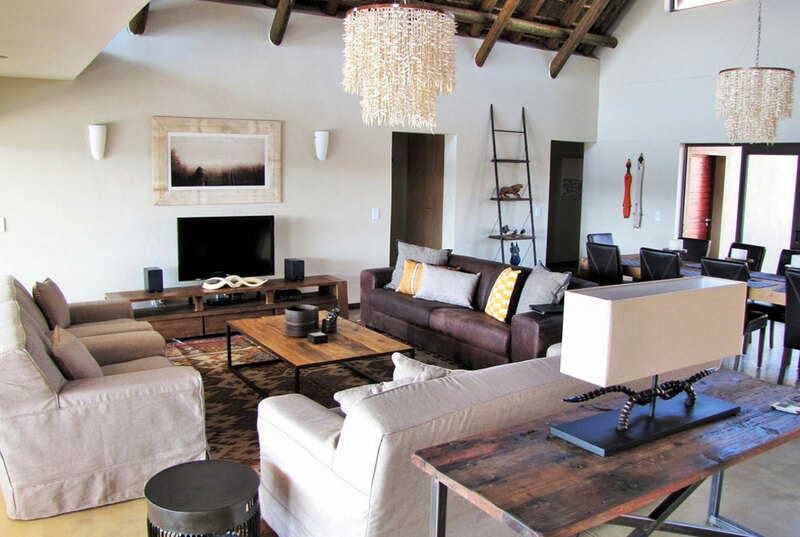 The shared ownership of second homes spans the full spectrum of property locations in South Africa whether they be at the beach, in a golf estate or in a private game reserve. The number of shares or slots may vary. The most common number in commercially established developments is 13 fractions and each shareholder (owner of a fraction) acquires 4 weeks use per annum. Privately established shared ownership homes generally have fewer shareholders (often varies from 4 to 10). Occupation and use is either structured according to pre-determined rotational calendar or based on an annual selection process described in the shareholders agreement. Each shareholder contributes towards the running costs of the property by means of a monthly levy. 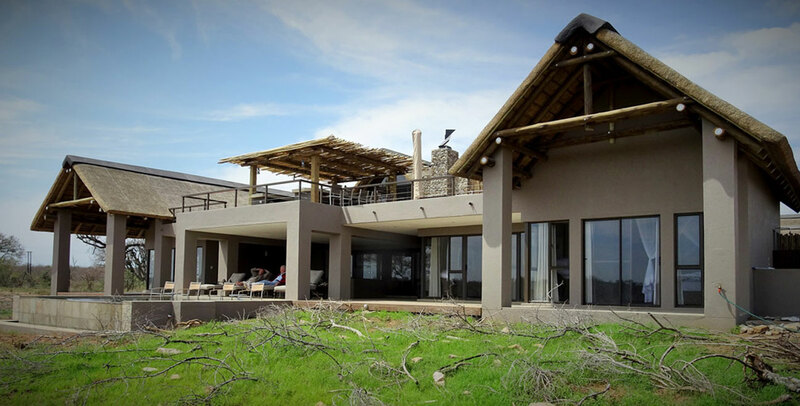 Property location Most of these properties are high value residential leisure properties situated in exceptional locations (such as in game reserves, the berg, golf estates or at the beach,). Upfront affordability Shareholders acquire the use of a luxury upmarket holiday home (a second home) at a fraction of its outright cost. Lower ongoing maintenance costs The ongoing running costs are shared between the shareholders. Security These properties are often situated in gated estates/reserves with 24h security. In addition the higher year-round occupancies of these homes reduces security risks. Less hassle The properties are often managed on behalf of the shareholders to ensure that when they are on holiday….they actually get to enjoy their recreational time. Letting Since the primary investment motivation is for use and growth in value, ad hoc letting is undertaken as a secondary activity to offset holding costs. Most commercially established shared ownership properties offer a managed letting facility. Destination variety Investors frequently own shares in a portfolio of properties in varied locations (e.g. 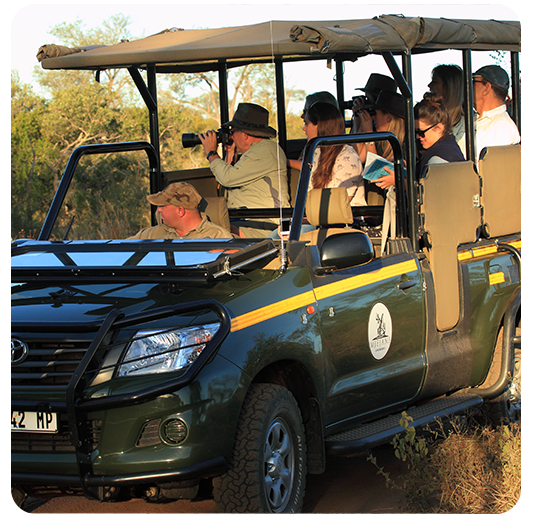 game reserves, golf, fly-fishing and coastal estates) to provide a wider variety of recreational experiences. Holiday exchange opportunities have been established between certain shared ownership properties to provide for an even wider choice of destinations. Investment return Shareholders can resell their shares. The value of the share increases with the increase in value of the property. Because of the prime location typifying these properties this value may increase faster than that of the average residential home.